San Diego is experiencing quite a bit of rain these last few weeks! As someone who can live in perpetual summer, the rainy season takes a bit more work on my part to have motivation. I do love the slow pace, and fresh air it brings, and other than a few indoor projects I had a pretty mellow weekend. It must be natures way of making sure I slow down. Because when the sun is shining and light is casting through the windows it’s pretty hard to get me to stay indoors. But the thing about this rain that I am having to practice patience with is we are in the middle of a side yard renovation. Currently, the access way to my outdoor studio is a muddy mote. As I write this I have longing eyes looking out there in hopes soon I can get back in there. I will save the reno disaster story for another day. Just envision a happy dance that it was done and pretty and then the reality once you looked closer that it all had to be ripped out and started over again on our dime. But lessons were learned on who to hire and if the price sounds too good to be true it is. Don’t you love life lessons like that? 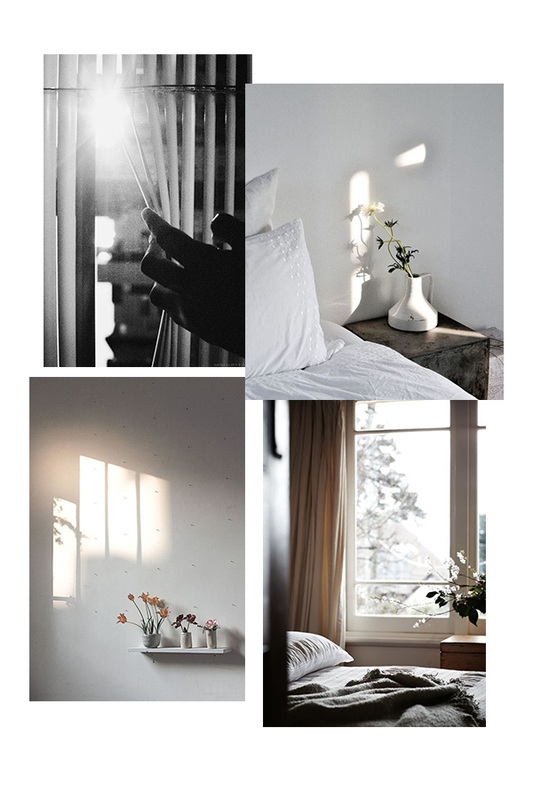 So yes, today’s moodboard I am selfishly longing for sunshine and drier days but you know what…another day tucked inside isn’t that bad either. What about you? Rain lover or sun worshipper?